Wow, it has been over a year since we started the campaign and we are happy to say that even though we are not close to our goal, we have started The “Paddle Brook Beaver Habitat.” The habitat has been names after our beloved paddle Brook beaver that was with us for 13 years. he has now passed, but this beaver habitat is being built in his memory to house, rehabilitate and finally prepare for release North American Beavers. – A shed that has arrived to hold wood, beaver wood chip bedding and the pumps, filters, electrical connections, etc. It is 10 x 20 and has plenty of room in it. Darlene built 2 lofts also to hold the supplies more efficiently. -A pond that will be 18 x 12 x4 with a 2 foot high waterfall that will run 24 hours per day. -The habitat will have buried chain link fencing donated by DeWitt Fence to keep the beavers from digging out. -The whole area will then be covered again in dirt so natural grasses, weeds, etc. will grow for the beavers to eat. -The beaver lodge consists of a galvanized steel arch structure, called a Porta-a-Hut, that will be covered with dirt and grass to help insulate it from the cold. 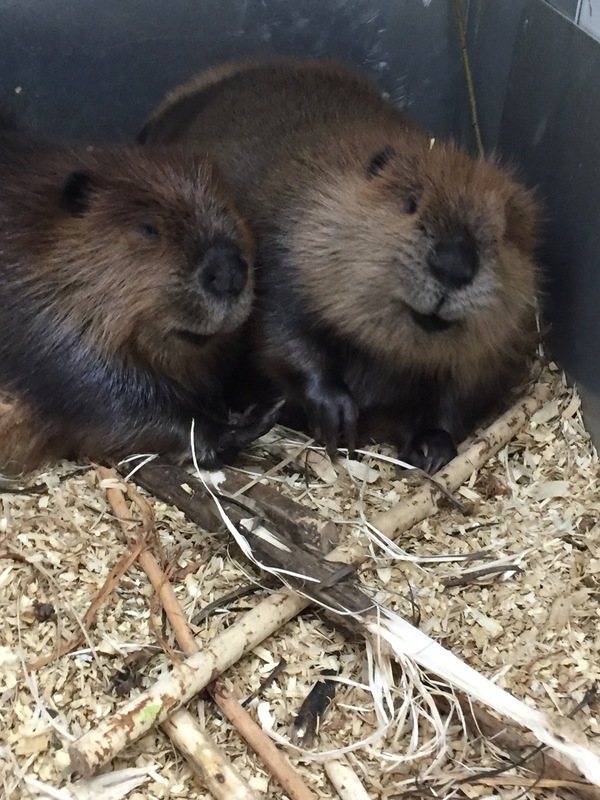 -2 smaller pens, 10 x 15 will be built within the habitat to hold other beavers that are in rehabilitation. This cost of the habitat has been closer to $60,000, however we are still hoping to raise extra funds to help with the electric costs and the ongoing maintenance of the habitat. 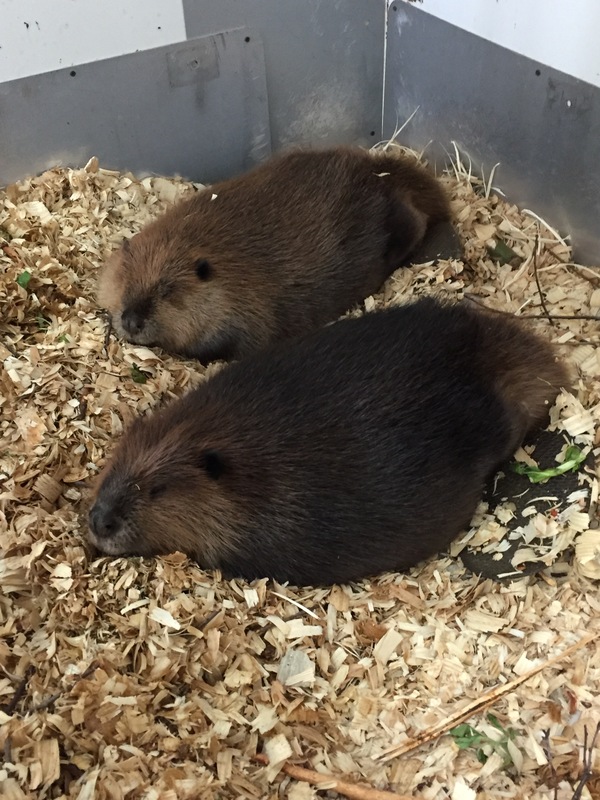 The beavers consume about $100.00 of greens and root veggies (dandelion leaves, leaf lettuce, collard, beet leaves , spinach, swiss chard, carrots, beets, sweet potatoes, spinach and celery per week. So extra funds will also help us with that cost. Molly and Patrick are just over a year now and about 50 pounds each. They are anxious to have the habitat completed, hopefully by early October. Bella, the baby beaver we received in late May is now is almost 16 weeks old, weighs 10 pounds and is anxious to take over Molly and Patrick’s large cage as she is being housed in a play pen currently. 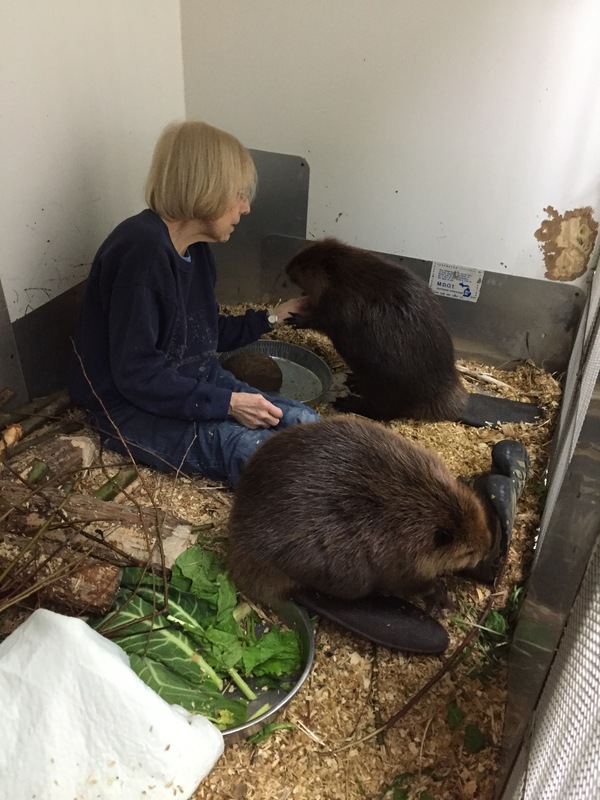 All the beavers are doing exceptionally well thanks to all of the knowledge we received at the 2 conferences my mom and I attended and all of the research we found about beavers on the internet, and the assistance of other rehabbers around the country that rehab beavers. Your contributions make it possible for WILDSIDE to continue rehabilitating sick, injured and orphaned wildlife for release back into the wild. Thank you! Please call us at 517-663-6153 before coming to the center to bring an animal. WILDSIDE is located at 8601 Houston Rd., 3 miles south of the town of Eaton Rapids. Hours: 9 a.m.- 8 p.m.